Limited to 1,000 units and set for release in march, Wave is re-releasing their W.H.A.M. 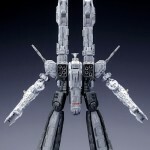 (Wave High Advanced Model) 1/5000 scale SDF-1 from the Macross: Do You Remember Love? movie. 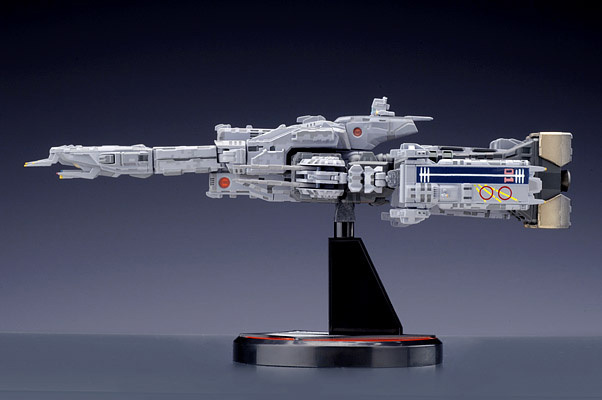 Comprised of diecast metal, and PVC as well as ABS plastics, this model has movie accurate parts, such as the ARMD-1 space carriers for arms, instead of the Promotheus & Daedelus from the TV series. This toy can transform to storm attacker(robot) mode, and can be displayed in both cruiser & storm attacker modes! 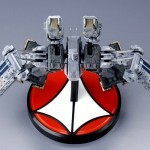 It also comes with a display stand, shaped as the familiar “Macross kite” symbol. Wave is going to rerelease their W.H.A.M. 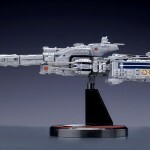 1/5000 scale Macross DYRL? SDF-1. 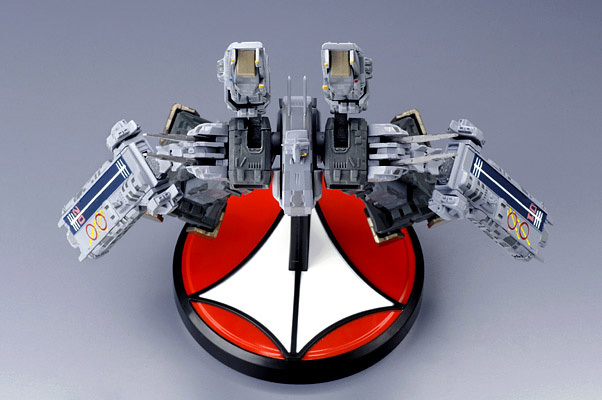 This is a movie accurate rendition of the SDF-1, complete with display stand. Click here to check it out! My mind tells me to kitbsah this into a G1 style transformers Ark. But I couldn't bring myself to desecrate a limited piece! Sweet lookin'! That's one awesome mecha. I love the design on it. Not to mention the badass spaceship mode. What a sweet looking piece! 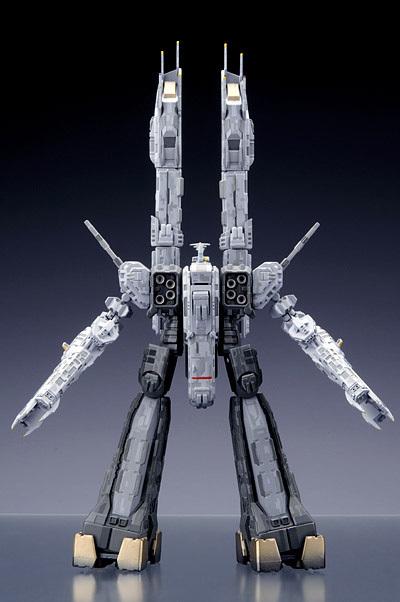 The main thing I like about the DYRL SDF-1 is the fact that the forearms were ARMD-1 space carriers. It makes for a more balanced and symmetrical look. Yeah, the symmetry is nice, though I've got a soft spot for the battleship arms of the classic, too. I prefer the head module on this one, though. I have the original bluish one but I really like the look of this gray one. I wonder how many pieces have been made all together between the blue version, the 1st gray release, and this new release.